We will review your application and contact you with your invoice and schedule of payments. Thank you! A deposit of $500 per person is required at booking time. Cancellations made by client before final payment is due are liable to a forfeit of the entire deposit. Final payment is due no later than 90 days before departure date. Cancellations made by the client before final payment is due are liable to a forfeit of $500. Cancellations made by the client between 90 days and 30 days before departure are liable to a further charge of CAD$1,500.00 per person. Refunds cannot be made to a client who either cancels after 30 days prior to departure or elects not to complete the tour for any reason. In the event a tour is cancelled, all deposits and other monies paid by the participant will be promptly refunded. All prices are in in Canadian Dollar (CAD), unless otherwise specified. All prices are per person and based on a double occupancy. This itinerary is under the management of SAVOUR ITALY TRAVEL™, who has made all arrangements for accommodations and services furnished in conjunction with this itinerary. SAVOUR ITALY TRAVEL and its agents shall be responsible for supplying the services and accommodations offered to the participants as set forth in the itinerary except such services and accommodations as cannot be supplied due to delays or other causes beyond the control of SAVOUR ITALY TRAVEL and its agents. 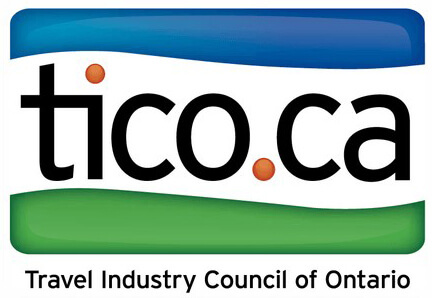 The client waives any claim against SAVOUR ITALY TRAVEL, and its agents, for any damage to or loss of property or injury to or death of persons due to any act or omission of any persons rendering any of the services and accommodation on the itinerary, or due to any event, happening, misfortune, or occurrence whatsoever. The itinerary is as planned and detailed on the quotation that the client has received and approved. However we reserve the right to make adjustments depending upon last minute unavailability of suppliers, weather and other constraints, to substitute visits to alternative sites and to arrange accommodation at similar rated properties. The prices quoted are based on double occupancy. Our suppliers and partners (tour guides, hotels,…) listed in the itinerary reserve the right to decline or accept any person to participate in the activities listed in this itinerary and to require any individual to withdraw from a service supplied at any time, if the supplier, tour guide, hotel deems his/her act of conduct is detrimental to or incompatible with the interest, harmony, comfort or well-being of other clients, or results in any penalty to the operators. According to the Travel Industry Regulations, SAVOUR ITALY TRAVEL reserves the right to adjust the prices at any time, based on fluctuations of the exchange rate and based on any increase received from a supplier/partner/service that are part of the itinerary package. No price increases are permitted after the customer has paid in full. If the price increase is more than 7% (except increases resulting from an increase in Harmonized Sales Tax), the customer has the right to cancel the contract and obtain a full refund.